(Really) old sails, earliest planning sails for foiling? I once saw a video where the rider uses a really old, unbattened sail for foiling. Currently I use Goya sails of the newest generations. For foiling in light winds I'm trimming them with minimal loose leech to get maximum power. My biggest sail is a 2018 7.2 Mark with a 460 mast. My next sail down is a 6.3 Fringe with a 430 mast. I would love to get rid of the big rigg but keep the power of the 7.2. Now I wonder if the old sails of the 80s or early 90s had more power per squaremeter than the modern cuts. Due to a missing loose leech and full profiles up to the top they lack controll but that doesn't matter for foiling . If so, I could get a an old sail of 6.0 to 6.5 for a few bucks and rigg it on my 430 mast for really light wind. Agree that some big modern sails are about higher wind limit range. You will probably find the older 6.5m rig on 460 mast. 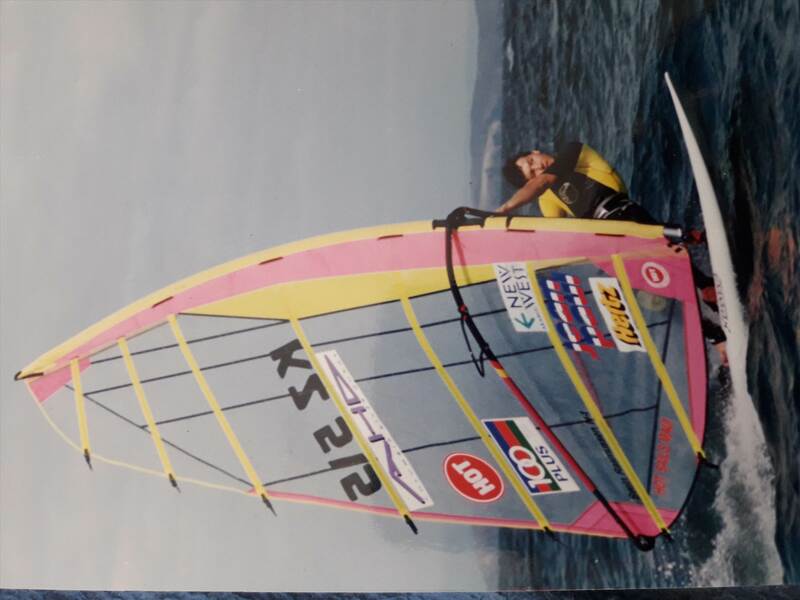 Mid 91 slalom racing in Maui I remember the Neil Pryde race sails being looser leech. Guru Sail designer Bugs (Phil Smith) was right up there with his Hot sails Maui race sails. Photo of 92 6.5m custom (ex Sevin - Mr Starboard) that I borrowed off Bugs to race. Sweet sail that had awesome range. Not sure how old is old. still rig them for control rather than power to get that light feeling. im figuring the 5.8 is working from 13kts based on having enough power to water start. Also my Hot sails are only sails I have that bag zips open. Nice i have the 5.0 with the big glitter flame. Its a great sail its been in the time capsule since i bought it new before getting into kiting. Now it's back out for foiling but i've only had ine day on it when i statted foiling a few months ago. 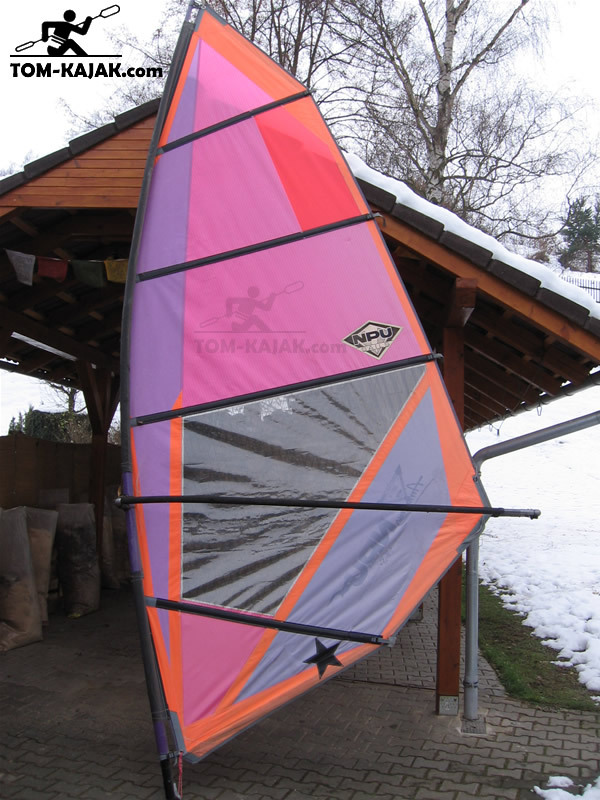 I already considered this, but i don't know where to start, since i could get about 10 sails for 100 Euros, saving some from the dumpster. There are so many old sails offered, dacron sails with 1 or 2 battens (early 80s), dacron with more battens (late 80s), monofilm (early 90s) but i have no idea which generation would be best for foiling, not talking about which brand or models would be favourable. Generally i'd like to get dacron because i don't trust these old monofilm sails reg. durability. I started Windsurfing back in 1989 but i can't remember what was top of the pops back then. I think i had a ART radwing, NPU ? 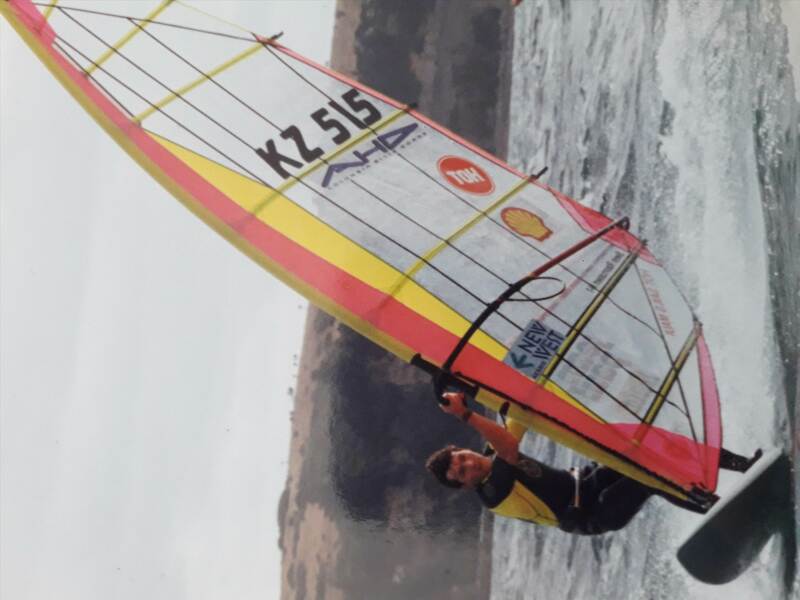 ?, and Gaastra Powerspeed, also a Easyrider Wavesail, later a Tiga Slalom monofilm and a F2 racesail in the beginning of the loose leech era early 90s. Interesting old thread with a lot of Information about the old sails. I use a freestyle sail (tight leech).